Ellie starts her junior year at a new high school in a new town miles away from her friends and old school. Her parents are both professors--medieval scholars--and on sabattical to research their particular topics. Ellie's mother is an expert on the Tennyson poem the Lady of Shalott (who Ellie is named after--Lady Elaine who committed suicide after Lancelot spurned her for Queen Guinevere). Her father is studying an old sword. This brings Ellie to Annapolis and Avalon High. Although not excited to start a new school, Ellie changes her mind when she runs into Will, a boy she feels she has met before but just can't place. Ellie is instantly attracted to Will, but unfortunately he's dating the most popular girl in school, cheerleader Jennifer. Ellie's new friends try to hook her up with Will's best friend Lance but she definitely prefers Will, and Lance is smitten with Jennifer. Will's evil step-brother Marco turns out to be his half-brother and exposes Lance and Jennifer's secret relationship and then tries to kill Will. Each of the characters is based on legend--A. Will Wagner is King Arthur, Jennifer is Guinevere, and Lance is obviously Lancelot. Marco is Modred and there's a teacher Mr. Morton who is clearly Merlin, although not as powerful or wise. Ellie's role seems obvious in the beginning but turns out to be a surprise. I love Arthurian legend and I loved this twist on the once and future king. Cabot has written a realistic fiction romance novel with elements of fantasy and suspense. Knowledge of Arthurian legend enhances the reading, but is not required. Girls will definitely be drawn to this story, but the romance is not so overwhelming so it turns off boys. Although the characters are in high school, there's nothing preventing middle schoolers from enjoying the story. The romance never progresses past the kissing level. 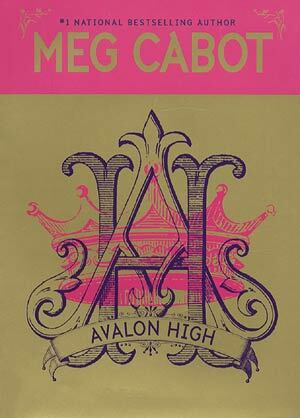 I think that Avalon High is for middle school students, but the mush for highschool. LOL. It is a good book, but I think that every book has its mystery and the lancelot come back was a great idea!!! Way to go Cabot!!! I really liked this book and I love the fact the you put the publication information on it too, because that is what I'm looking for! Thanks Librarian and Meg Cabot! I've never read anything by Meg Cabot! I've heard such good things. Any recs on where to start? I hate reading. Yet i loved and i mean loved!!!!! Avalon High!